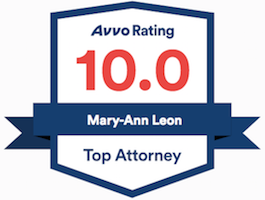 Attorney Mary-Ann Leon is consistently rated one of the best employment law attorneys in Eastern North Carolina. She is an expert in employment and contract law, sexual harassment complaints, job discrimination, and employment contracts. The Leon Law Firm in Greenville, NC handles employment and contract law, sexual harassment complaints, job discrimination, and employment contracts. The principle that guides my practice is Equity. Whether your interests are business or individual, you deserve equity — even-handedness and fair play. ✎ I counsel and represent employees who want to know their rights concerning disciplinary issues, termination, hiring, promotion, contracts, or unemployment benefit matters. I represent public school employees, law enforcement personnel, nurses, doctors and other medical personnel, clerical staff and workers in many other fields, including chefs, truck drivers and customer service representatives. ✎ I counsel and represent small business owners who want to make sure they can make the best decisions for running their businesses without running afoul of the law, who need help dealing with government agencies and investigators, and, who want to protect their business interests from those who seek to take advantage of them. Facing an EEO case against the federal government. Met with Dr. Leon. 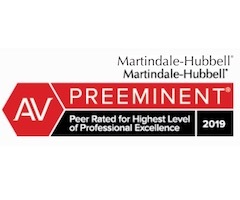 Very Professional and Fair Priced. Took my case, communicated with the federal agency. I received the promotion due to the professional actions of Dr. Leon. 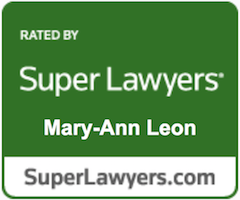 Mrs. Leon, Thank-you for applying your legal expertise to my employment rights case. I trust that without your legal history, the outcome of my situation would have been negative. You made me feel that I was not alone! A friend of mine recommended me to this firm. Miss Leon was easy to speak with and when I thought I had no hope of fighting the company I use to work for in drawing unemployment benefits, Leon Law Firm won my case and I was awarded my benefits. 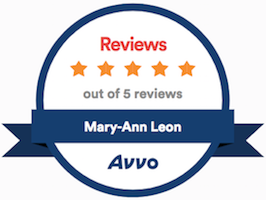 Dr. Leon was extremely helpful, caring, and fair during both of my lawsuits. She is great at her profession and a pleasure to work with. I will use her again if another opportunity arises and would recommend her services to anyone I know. I experienced excellent results with her as my lawyer. Leon Law firm was always available and very prompt in addressing my concerns and questions. I strongly recommend this firm to anyone seeing expert legal advice and representation. Mary-Ann took a case in which the negative results would have devastated me and my family. She worked thru all of the facts and was very knowledgeable in what she was doing and was a ‘kitten’ when needed and a ‘lioness’ to be dealt with when needed. Excellent results. The Leon Law Firm is awesome. Mrs. Leon is a true professional that achieved a decisive victory in my case. She is a superb attorney. I highly recommend the Leon Law Firm to anyone seeking legal counsel in the areas of her expertise. It was a pleasure to work with Mrs. Leon. Filing a Charge of Discrimination with the E.E.O.C. The Leon Law Firm proudly serves Greenville, Pitt County, and all of Eastern North Carolina.